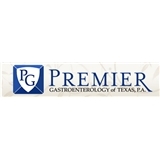 Premier Gastroenterology of Texas (Fort Worth) - Book Appointment Online! Dr. Mallat is nationally recognized gastroenterologist from his involvement in multi-center trials and national publications. He achieves unique results in the management of complex gastrointestinal diseases. For almost ten years, he has trained doctors in gastroenterology and advanced endoscopy. Although most of our patients are in the Dallas-Ft. Worth area, Dr. Mallat regularly sees patients from Oklahoma, Arkansas, Louisiana, Alabama, New Mexico, and Kansas. In addition, patients have come from as far as India and Egypt to seek his consultation. Dr. Mallat receives a large number of referrals from other gastroenterologists. He regularly provides second and third opinions on complex digestive disease issues such as abdominal pain, Barrett’s Esophagus, pancreas diseases, and gastrointestinal cancers. Over the past ten years, he invented and refined multiple advanced endoscopic therapies. These unique therapies have enabled minimally invasive resection of GI cancers, drainage of large pancreatic cysts as well as relief of chronic pain. Although most gastroenterologists are trained to perform colonoscopies and remove polyps, Dr. Mallat frequently removes large and complex polyps endoscopically rather than refer those patients to surgery as is commonly done by other gastroenterologists. Finally, Dr. Mallat is committed to providing his patients with premier treatment options.